Dungeoneers is a community based rogue-like. 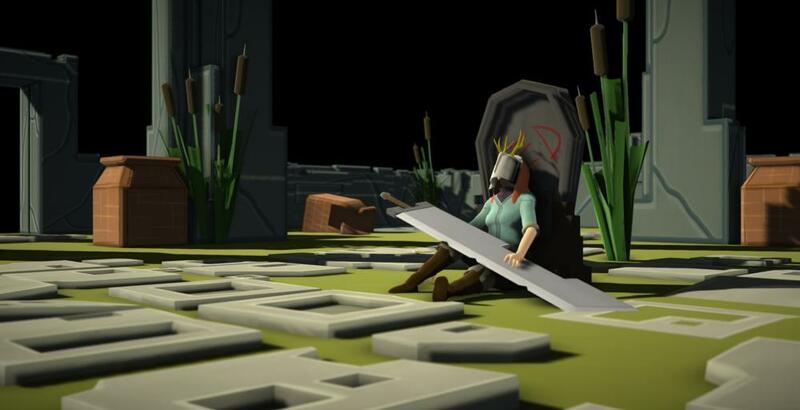 Players fight through four action-packed difficulties of procedurally generated dungeons, defeating enemies in the hopes of making the Guardian of the dungeon take notice. Once the Guardian has taken notice, players must fight and defeat it. Victory will yield epic loot, yet defeat will not go unnoticed. Character stats are shared by the entire community, and all experience earned by players in the game are added to a community experience pool in the form stat upgrades. Every play session matters, no matter how good or bad, and will affect every other player in the community. The most unique aspect of this game is the Community Progression system. Within the game, all base stats and experience are shared across the entire community. This means that all players are essentially playing on and progressing one character. It is an exciting aspect of the game, as it makes every play session meaningful. It also keeps players on their toes with the character's constantly changing stats, in that they'll have to adapt their play-styles to match them. It's a new and exciting concept as well as an experiment. It's never been done before, and communities are extremely unpredictable. There is no way of knowing how the character will turn out down the road, as the community will be the ones determining it.